Clinical services operations, service improvement, cancer services, ‘Right Care Right Here’ partnership, emergency care network, emergency planning and elective access. Registered General Nurse, Health and Social Services Management Certificate, ENB 100 and 998 / Intensive Care and Teaching and Assessing, various leadership courses including Next Generation Directors Leadership Programme (NHS London). Rachel began her NHS career in 1991, qualifying as a Registered General Nurse at St. Mary’s Hospital in London. She specialised in critical care and vascular surgery. Since then Rachel has held a number of senior management positions including working at one of the first designated Academic Health Science Centres. Her general management responsibilities have included clinical and diagnostics, cancer, emergency and critical care, as well a host of elective tertiary specialities. As an advocate for innovation, Rachel has led a number of large scale service transformation programmes, using her leadership expertise to work with teams to deliver complex change and to improve clinical services. 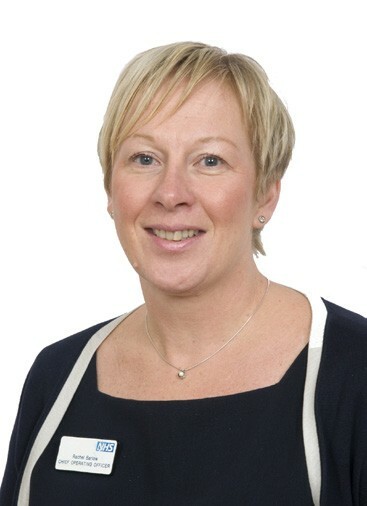 Rachel has board level responsibility for the provision of clinical services in our hospital and community settings, the improvement approach that will support development and delivery of innovation aligned to our 2020 vision plans; and implementation of UNITY , our new electronic patient record.